Making a comment on a news or publication article? We look forward to receiving your comments and participation in the discussions and would like to publish on selected articles. Otherwise we believe the discussion happens more natrually and better on our social media channels like on our page on Facebook.com/WWF . 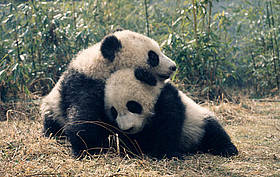 You can freely crticise WWF - we value that, because we learn from it. But when it comes to other people, we need to be respectful of their individual opinions and viewpoints. Comment in a way that is respectful of others and keep the panda happy. Our mission is to keep this site open to people like yourself - to listen to what you have to say. If you see that another user has broken the guidelines above or our terms and conditions, let us know by logging in and clicking the Flag as inappropriate links located next to each comment that someone makes. We then have procedures in place that will automatically remove such content from the site. Thanks for help, your comments and support!